LOL!! What a visual that makes. I makes quite an impact on your hearing as well. No way. I am actually impressed. Good. Feel free to send me some ear wax. Getting it from various sources considerably cuts down on the time needed to make them. Will do. The perfect holiday gift. Too bad you’re not an ogre. It didn’t take Shrek very long. 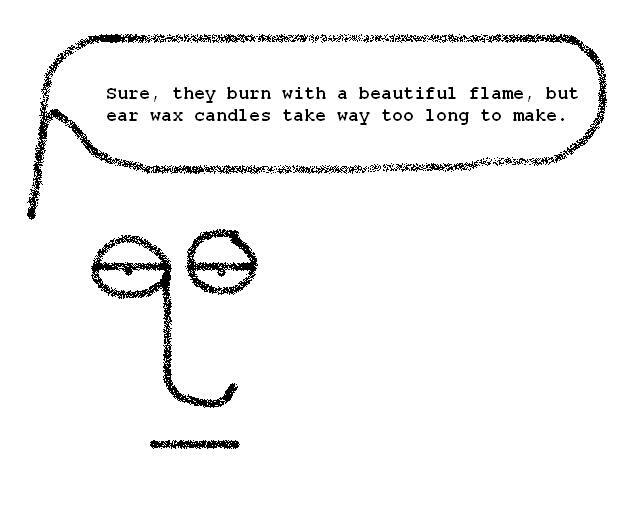 He IS the master candle-maker.